Dennis Mũragũri’s multidisciplinary practice utilizes sculpture, painting and printmaking. 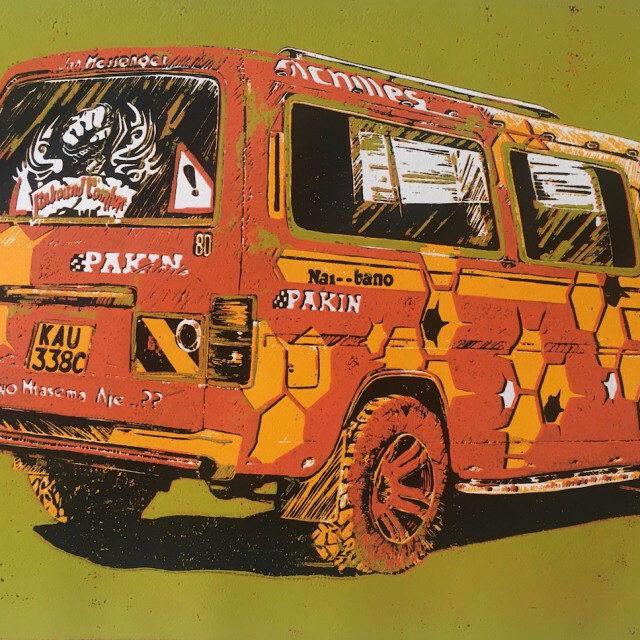 Based in Nairobi, Kenya, he records ‘matatus’, minibuses, which are the most common form of public transport. He graduated from Buru Buru Institute of Fine Art with a diploma in Painting and Art History. He is a resident artist at Kuona Trust Art Centre. Recent exhibitions include New Works, Circle Art Gallery (2016) and Matatu Games, Kuona Trust (2014).